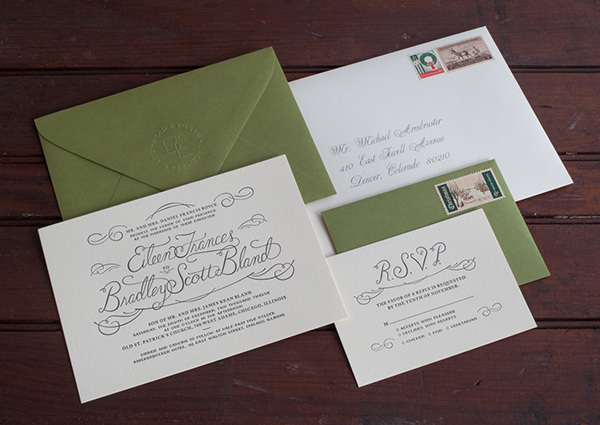 The wedding couple reached out to me to create an invitation package that would reflect the same style as their vintage Chicago venues. 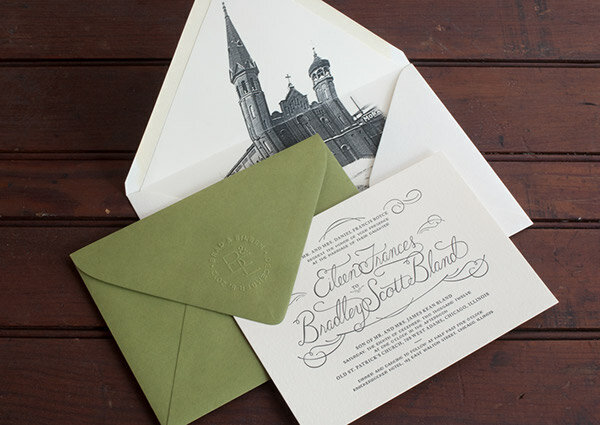 With the ceremony in the city's oldest church and the reception just down the road in a historic hotel, the designs called for a distinctly craftsman-like approach. 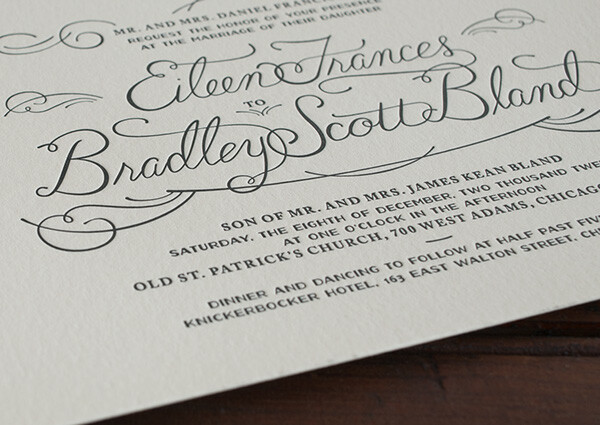 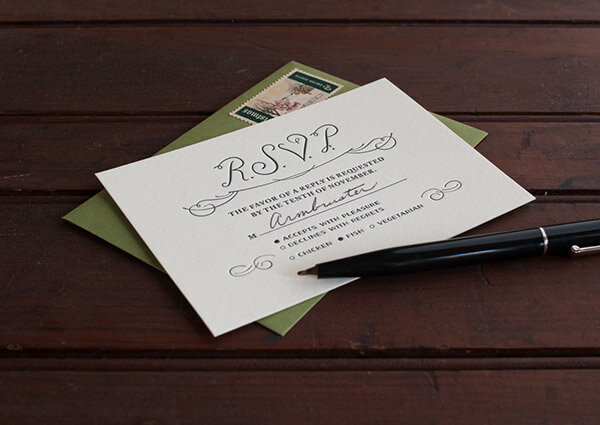 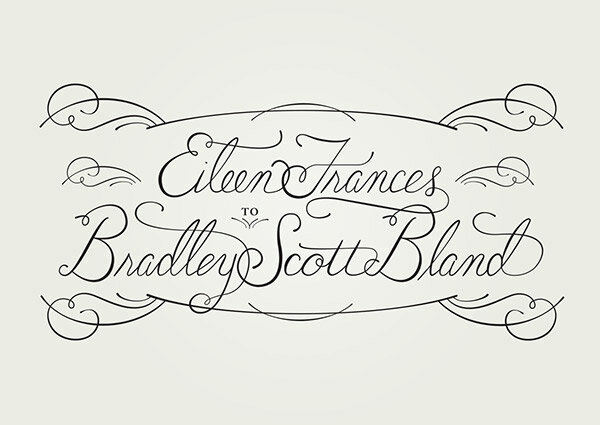 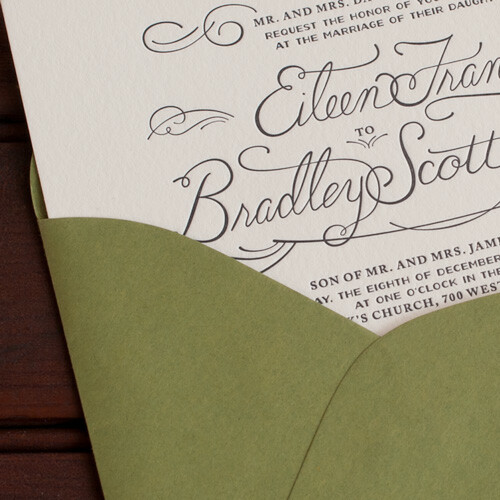 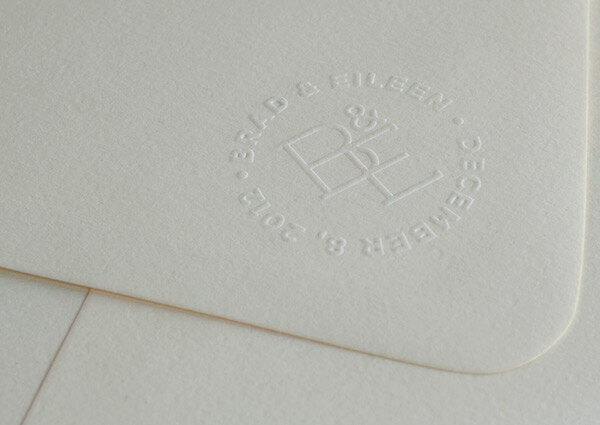 The invitations were adorned with hand-lettering and then letterpressed. 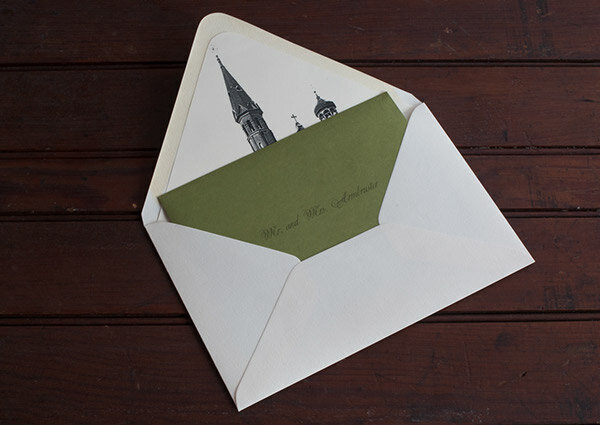 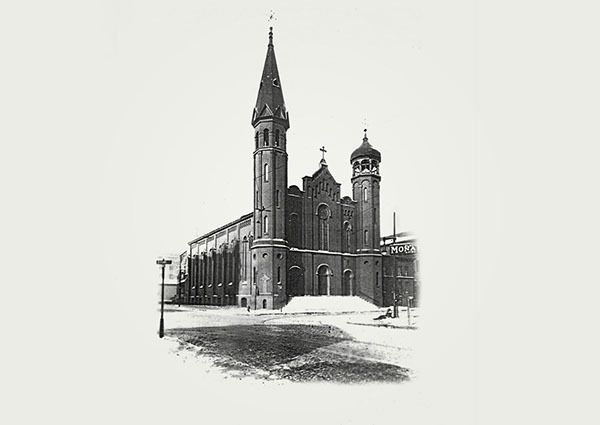 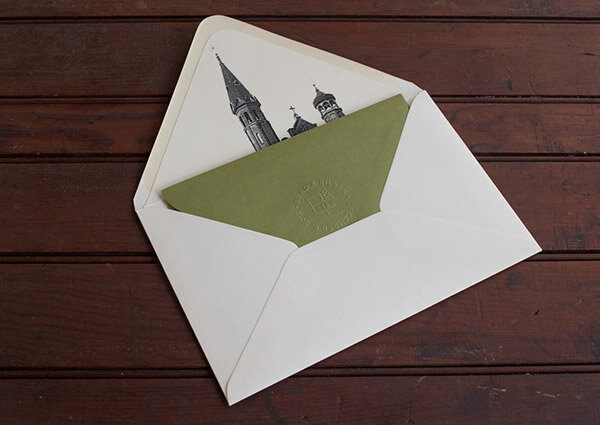 They were then sealed in custom embossed envelopes lined with an image of Old St. Patrick's and sent off.